I got a private tour of the A Petersen showroom, studio, workshop and museum. 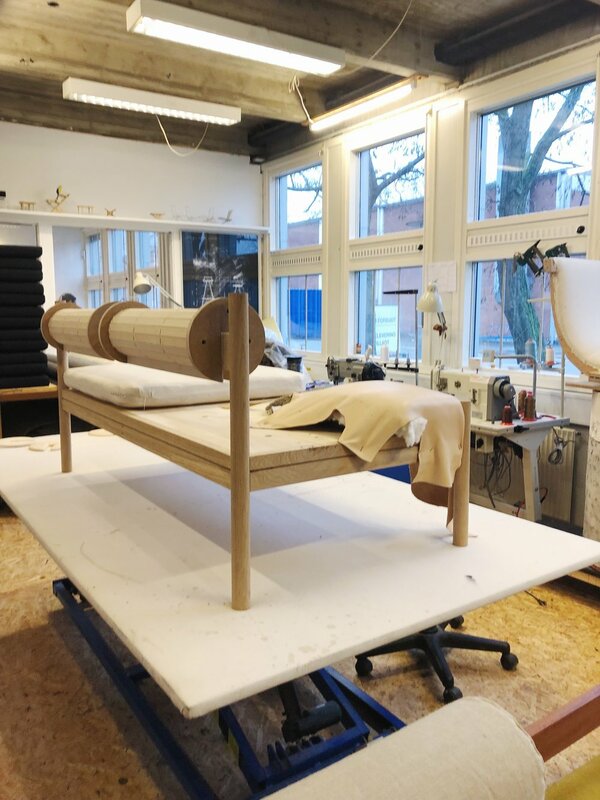 A Petersen is connected to the family of Poul Kjaerholm and the workshop he lead for 50 years. They also are connected to the foundation of Finn Juhl and work on his restorations and some re-releases of his work too. The workshop has their own furniture line as well as works to maintain and restore originals for these families and foundations. They studio works to create new works in the same quality and craft as the furniture that as produced in the 50s and 60s. The pieces are made to order and hand made there in the workshop. They are using dried seaweed as the Upholstry inserts in stead of foam or springs. The studio and gallery displays artists in ceramics, textiles, fine arts, glass and other media. The work was spectacular and the dedication to the legacy and future of danish modern furniture was unlike any other. The upper level to the workshop is a museum for the Danish National Arts Council. They had a show on display that celebrated the connection between Japan and Danish arts and design for over 50 years. They had 100 artists and designers displayed in the show that focused on mixed media of all types. I bought a stool for our studio that will be shipped to us in the next few weeks.